There are a few things we liked about Planetary Herbals Horse Chestnut Cream. The ingredients seem to be all natural. 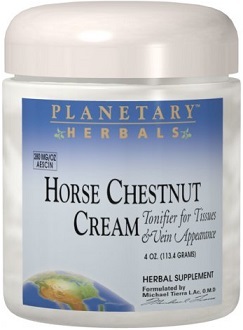 Today we review Planetary Herbals Horse Chestnut Cream. 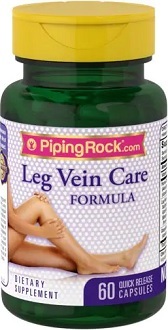 A supplement to treat varicose veins and improve blood circulation. Horse Chestnut’s benefits are associated with a variety of constituents, but especially with a group of saponins collectively known as aescin. 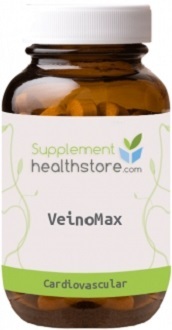 Horse chestnut is also a valuable source of bioflavonoids known for their antioxidant activity. When taken internally, research has shown horse chestnut’s constituents to strengthen the capillaries, support normal blood flow, and support the normal exchange of fluids through cell membranes. Continue reading for our full review. Horse Chestnut Cream combines a concentrated extract of horse chestnut seed and bark extract (20% aescin) with additional astringent tonifiers and circulatory herbs, such as butcher’s broom, witch hazel, white oak, and myrrh. An advanced liposome delivery system is used to support tonification and deep moisturizing. 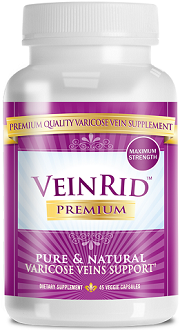 The combination of ingredients aims to lessen the appearance of varicose veins, also reduce inflammation and assist in the return of fluids back into the blood circulation. Gently massage into the skin morning and night. For best results, use for at least 6 weeks. One 2oz tube of cream costs $12.50, and a 4 oz tube costs $23.50. You can’t purchase directly from the product website but there is a link to online vendors. There is no mention of any guarantee or return policy on the website. There are a few things we liked about Planetary Herbals Horse Chestnut Cream. The ingredients seem to be all natural. The cream is absorbed by the skin and an alternative for those who are allergic to the horse chestnut herb or cannot take it in capsule form. There were some negatives too. There is no guarantee or product return policy which would question the manufacturer’s confidence in the success of this product. Customer reviews were mixed with some positives but also many negative feedback responses whether the cream helped them with varicose vein or circulation issues. Even though this product is not so expensive when bought in small quantities, it’s not clear at all if it provides any significant benefits in the long run. Lastly, the effectiveness of the product has not been scientifically or independently tested. Therefore, at this time we are unable to fully recommend this product.